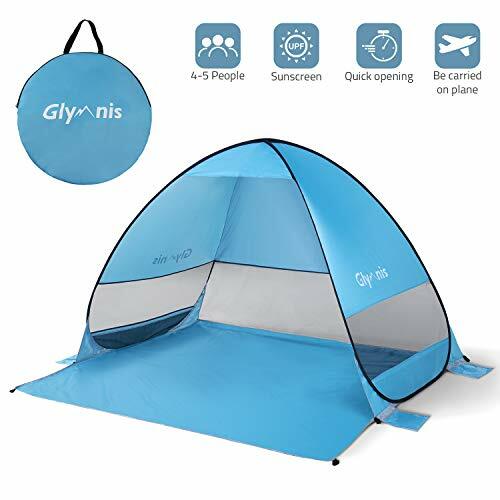 The beach tent choose the high quality material- 190T silver coated polyester Oxford fabric with UV coating (UPF 50+ UVA< 5%), to make sure keeping you and your family away from the damage of the strong sunshine. Good sunscreen function reduces the temperature inside the beach tent, laboratory tests prove that effectively reduce 5.4-10.8 ℉, Enjoy the cool summer. 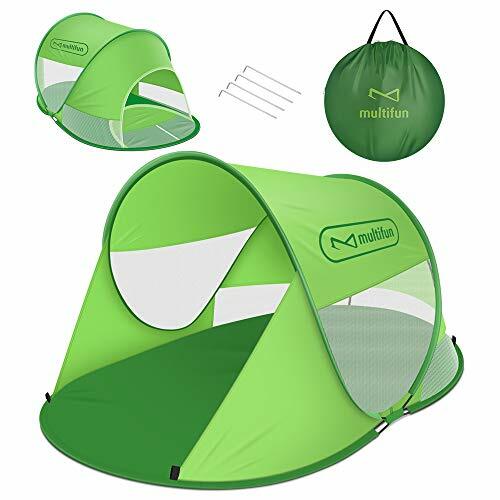 1.take out the tent first, you can see the accessories: tent, didin, tent pole. 2.lay the tent flat on the ground. 3.take out a tent pole and wear it from the diagonal of the tent. 4.repeat the third, insert the other one, then put another one into the inner ledger, and the two tent poles cross to form big X. A beautiful inside account is set up. 5.supplement: tents on a rope, are used to reinforce the tent, no winds generally can not pull, and land use nail, also in the best is not assured, some rope pull evenly. This makes the tent stronger and stronger. LARGE DIMENSIONS: Length- 82.7″ Width- 55.1″ Height- 47.2″ .DIMENSIONS ROLLED UP: Length- 4in Width- 4in Height- 17in WEIGHT 2.4 Pounds.Easy to carry and great for 2-4 person. 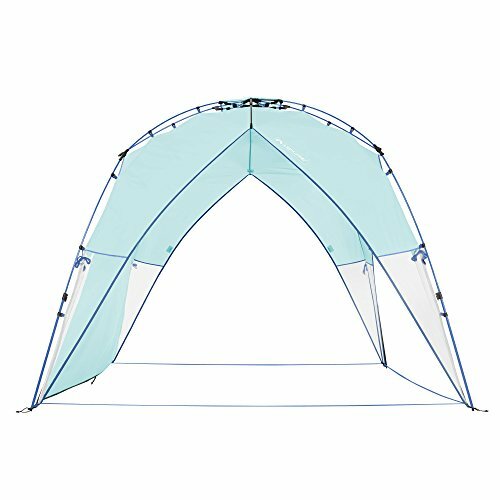 UPDATE UV ANTI BEACH TENT: This beach tent special silver coated fabric around the Full Coverage to Ensure That the Coverage Area of Anti-UV Effects. The UV rating of 50+ UPF(UPF 50+ UVA< 5%) to protect you and your family from the sun's harmful rays. you will like the sun shelter. 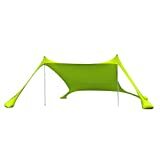 EASY SET-UP & FOLD-DOWN : This beach tent is easier to fold than Pop-up tent. 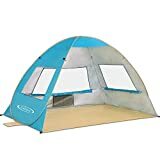 Setting up this Beach Tent is a fast and easy process which can be done in minutes. 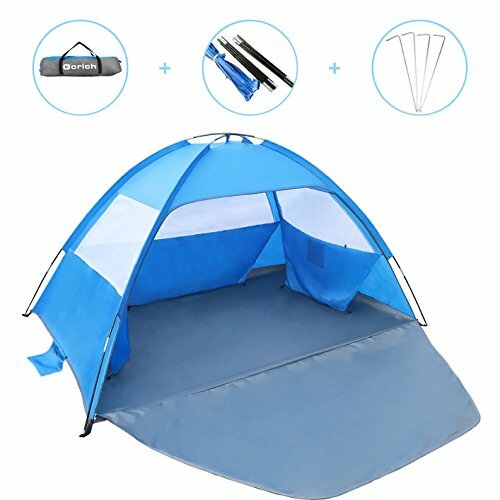 The unique folding capability of this tent allows it to be taken down and stored anywhere. 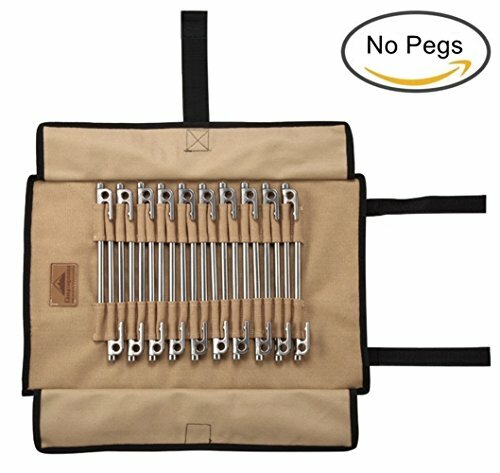 It also folds into a portable carry bag. It’s so small customers claim they can’t notice it on their backpacks.